MILWAUKEE, WI – Today, Milwaukee Tool announced the acquisition of the Empire Level business based in Mukwonago, Wisconsin. Steeped in history dating back to 1919, Empire Level is a fully integrated solutions provider in the Layout and Measurement product categories. Empire is the leading US manufacturer of levels, squares, layout tools, and safety and utility tape. "From the invention of the Monovial, to the introduction of the first Torpedo Level, Empire has a strong history of innovation. We share a passion for delivering best-in-class solutions for our users," says Steve Richman, President of Milwaukee Tool. "We are extremely proud to expand our portfolio with Empire Level, and we are committed to driving disruptive innovation and accelerated growth within the business." 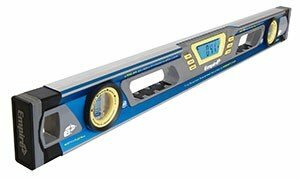 For over 90 years, Empire has been the leading designer and innovator of accurate and durable layout and measuring tools for the professional to the non-professional. With industry firsts such as the Monovial, the Torpedo Level, the Magnetic Level, and most recently TrueBlue® - the most accurate vials and levels in the world, Empire continues its tradition of bringing innovative solutions, with superior durability focused on improving productivity and user experience. Empire employs approximately 160 people at its facilities in Mukwonago, Wisconsin and sells its products in over 50 countries worldwide. More information about Empire and its products can be found at: www.empirelevel.com.